Looking for a way to reward loyal employees while creating a positive work environment? Want to enhance productivity and creativeness in the work place while caring about your team’s wellbeing? 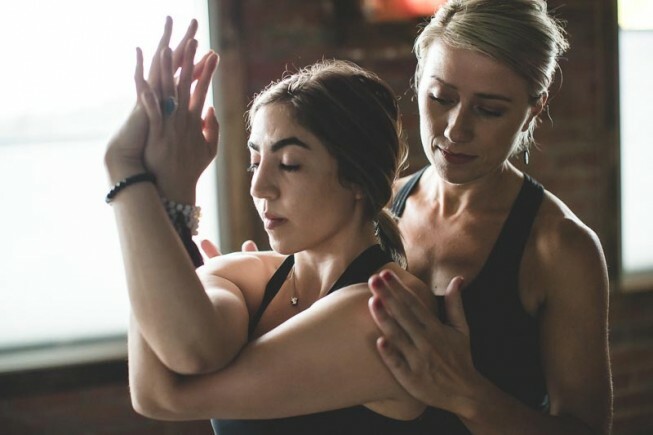 Pure Hot Yoga corporate sessions are more than just a productive team activity, these sessions will leave your team feeling amazing as well as helping their immune system and reducing sickness. A win win for all!!! How can Pure Hot Yoga programs benefit my workplace? Yoga is also a group activity that builds team morale and strengthens working relationships. Pure Hot Yoga offers the following corporate Yoga package. All qualified Pure Hot Yoga teachers are fully insured and hold Senior First Aid Certificates. Pure Hot Yoga provides rental mats for the duration of your program, however many participants choose to purchase their own mats from Pure Hot Yoga at the special rate of $20. The maximum number of participants is 15 however two or more groups can be formed if you have a lot of interest. We can also offer other services to reward your team, such as mindfulness meditation, sessions on nutrition as well as massage. Why not invite us to liven up your next corporate event with stretch breaks or chair yoga exercises. Get ready for a healthy, more active and positive work environment. What will my corporate session include? Your qualified Pure Hot Yoga instructor will teach a session based on Hatha Vinyasa which synchronises movement with breath as well as some extremely beneficial static postures for targeting sore lower backs and tight shoulders. The class will start with a warm up sequence to initiate mobility and create internal heat, followed by some poses that are held to stretch and strengthen the body. All parts of the body will be targeted during the practice. The class will conclude with breathing exercises and relaxation. This will calm the central nervous system and lower their stress levels – leaving your employees blissed out and ready for work. Pure Hot Yoga provides rental mats for the workplace sessions, however if your staff would like one of their own or perhaps a workplace set, they can be purchased from Pure Hot Yoga at the special rate of $20. Your team will also need comfortable clothing that allows a range of movement – fitness attire such as shorts, tracksuit pants or leggings with an appropriate top is great. We kick off our shoes and socks to practise yoga so no footwear is needed. A water bottle and towel is also recommended. Pure Hot Yoga brings health and wellbeing to your workplace. You select an area that is isolated and free from cold draughts so your staff will not be disturbed and feel comfortable. Large, quiet boardrooms, common rooms or meeting rooms with furniture moved aside are a great place for these sessions. Weather permitting, why not take the session outside…. We all love fresh air. A large, flat and shady area is best. Although it is preferable for the yoga classes to be held at your workplace, you may find there is no suitable space available. If you are having trouble accessing space for your workplace program, Pure Hot Yoga can help arrange an alternative space close to your workplace. Please keep in mind that this will involve an extra fee to cover the room hire for the duration of the program. If you have more questions, please talk to us! We love hearing from you – click here to contact the team at Pure Hot Yoga today.